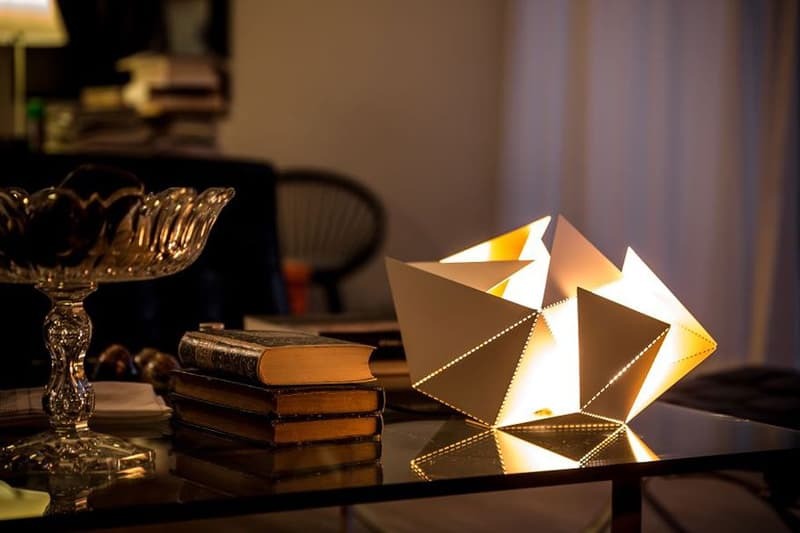 The Folding Lamp by Belgian architect Thomas Hick is an origami light that you can bend and fold into a variety of shapes. 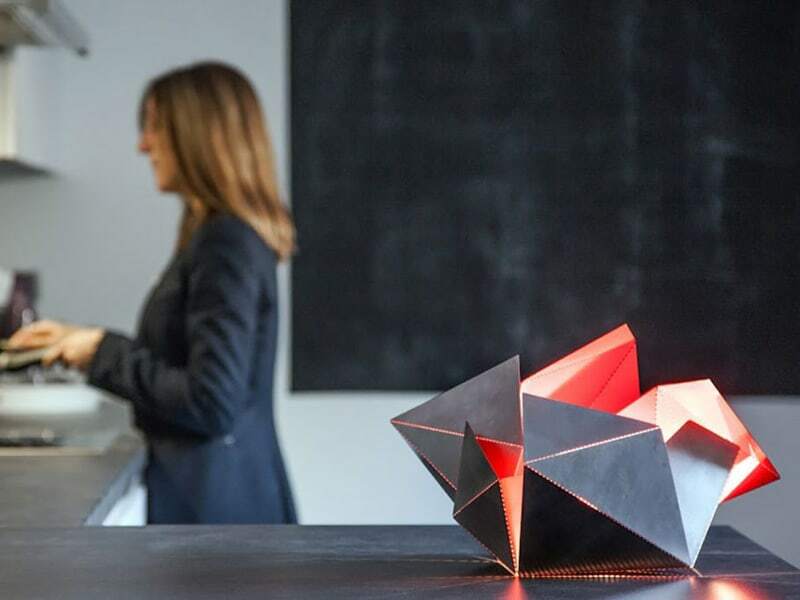 The Folding Lamp comes in 5 versions to match your style and your interior. 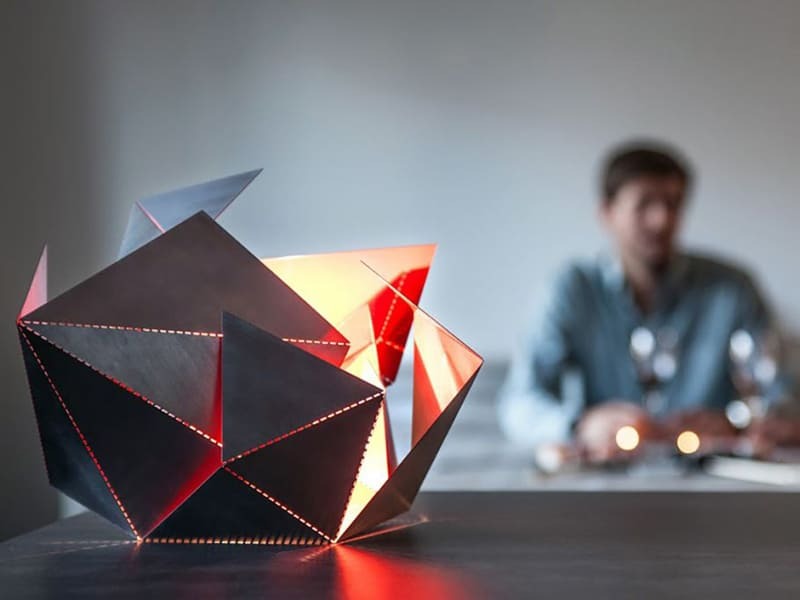 To create the Folding Lamp, you start from a blank sheet of metal that folds along dotted lines, while playing with the order and angle of each fold. You can follow the instructions or let your creative instincts guide you. 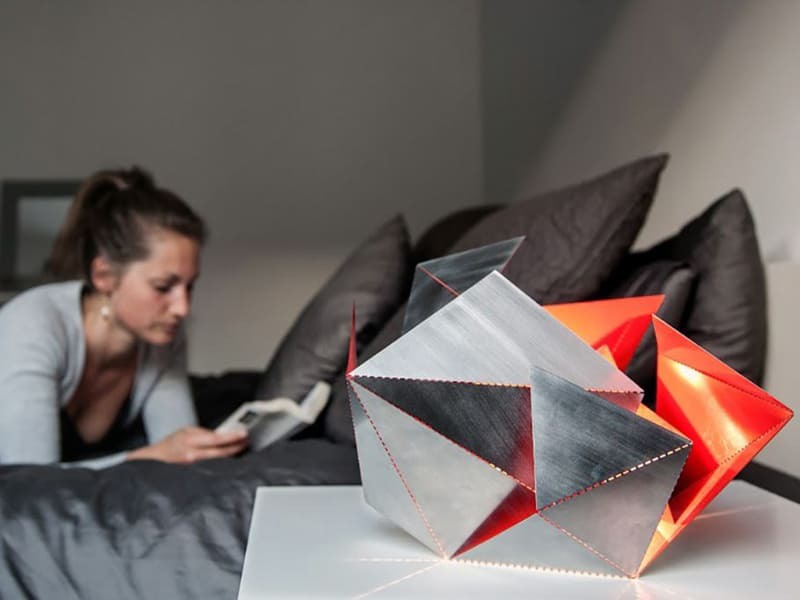 Create your amazing design lamp starting from a flat sheet of steel. Signed by designer, sculpted by you. The available materials and colors are respectively Matt Black & Gold, Matt White & Gold, Matt White & Copper, Sanded Matt White & Red Chilli and Brilliant Black & White Pearl. 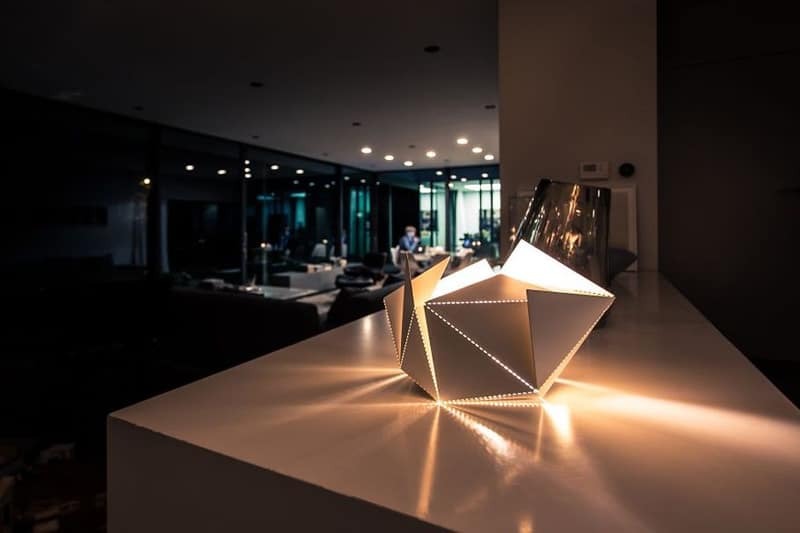 The lamp includes a 2m power cord to give you maximum flexibility in placing the lamp in your home. 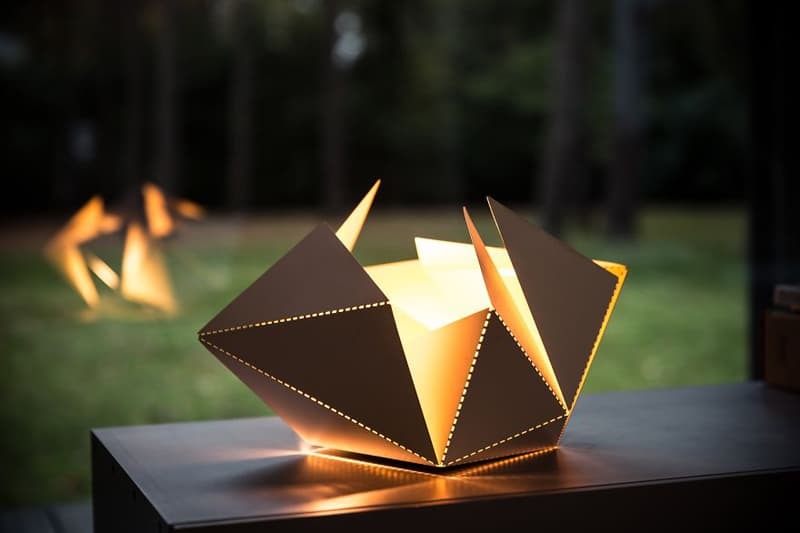 The lamps are made in Belgium, Europe and meet European safety standards. 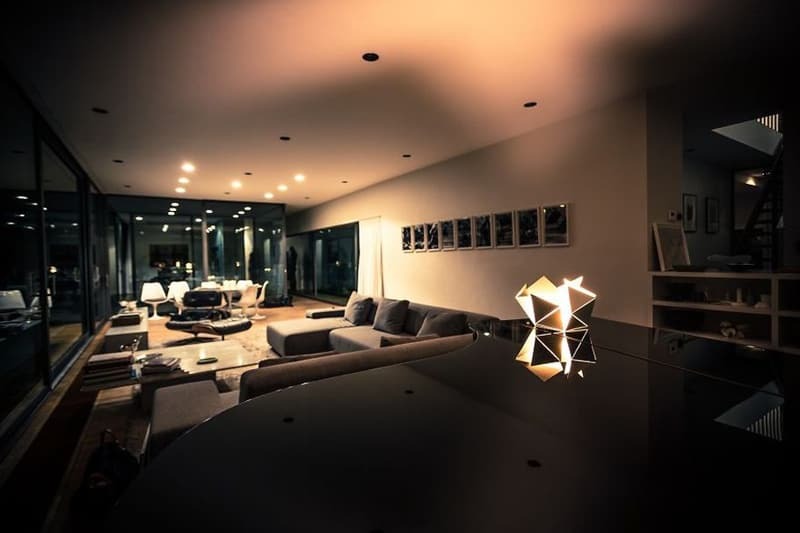 They include a touch sensor, a high-end LED filament bulb, EU, US or UK plugs, and works with 110V-240V.